Other information The model SKORPION 120 SD is one of TEKNAMOTOR's flagship products. For many years it has enjoyed great popularity among community service companies and road enterprises because of its functionality - high performance, mobility and low fuel consumption. 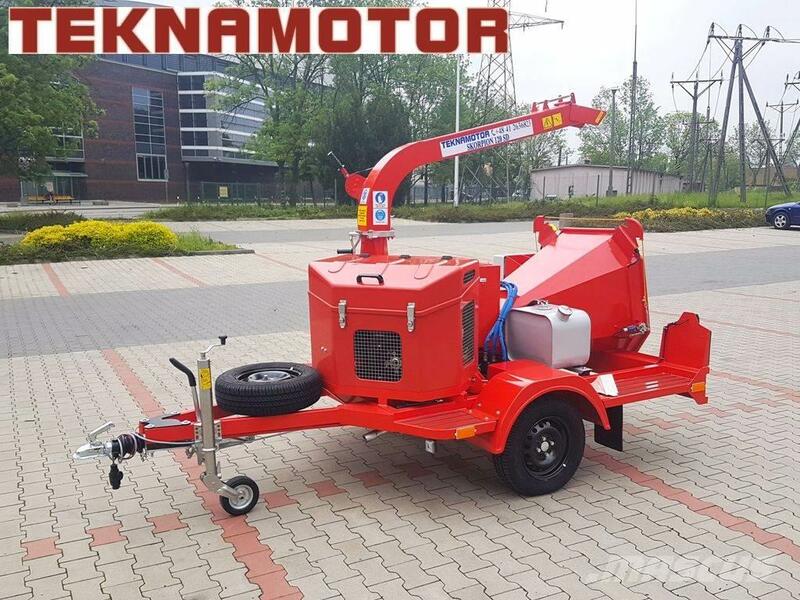 High performance of this machine is achieved due to the air cooled, 28.5 hp diesel engine and with the throat of 285 mm wide and 165 mm high, it is possible to crush the branches together with their limbs and boughs (also leaves and needles), as well as circular wood up to a diameter of 12 cm. In order to maintain many hours of continuous operation, the chipper is equipped with a 40 liter fuel tank. The Skorpion 120 SD chopper has received European approval, which permits registration of the machine and traffic approval. It is equipped with overrunning brake and parking brake, modern LED traffic lights and a choice of spherical or eye catch.